Inferior vena cava (IVC) filters are small, cage-like devices that are placed in the main vain to capture blood clots and prevent them from traveling to the heart or lungs, which could result in a pulmonary embolism. However, some IVC filters have been linked to serious complications. Life-threatening complications are more likely to occur when the temporary IVC filters are not removed. In 2010, the U.S. Food and Drug Administration issued a safety communication regarding the IVC filters, indicating it had received 921 adverse event reports since 2005. The agency noted that 328 reports involved IVC filter migration, 146 involved the detachment of IVC filter components, 70 involved perforation of the inferior vena cava, and 56 involved IVC filter fracture. The FDA cautioned that many of the IVC filter complications were related to long-term use of the device. The FDA stresses that the inferior vena cava filters are intended as a temporary measure for patients at risk of pulmonary embolism, and that the device should be removed once the risk subsides. 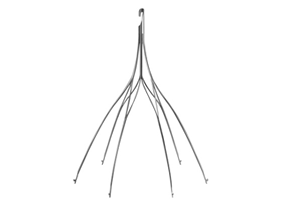 The agency encourages physicians to consider the risks and benefits of IVC filter removal for each individual patient. n May 2014, the FDA issued an update to its 2010 safety communication, noting that it had developed a qualitative decision analysis that suggests that, once the patient’s risk for pulmonary embolism has passed, removal of the IVC filter should occur between 29 and 54 days after implantation. If you or a loved one suffered IVC filter side effects such as migration, IVC perforation, DVT or pulmonary embolism, you may have a legal claim. Keep track of your prescriptions for the Antibiotic used, note the dosage you have taken and the time period over which you took the drug.